In the year 2026, Metro City is at the mercy of a vicious gang of super-criminals, lead by the villainous Lord Scumocide. Only one fighting force can prevent total catastrophe by standing up to these mutant maniacs… That force is the Commando Team! GINZU – the Ninja Commando! MACK – the Mummy Commando! BABY HEAD – the Baby Commando! 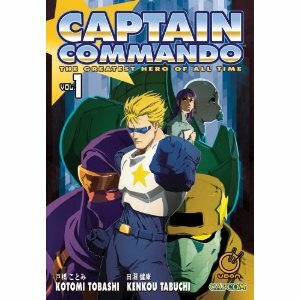 And of course, the man himself, CAPTAIN COMMANDO – the greatest hero of all time!